The old “get a free phone every two years” cycle is over in the US. With the the death of those subsidies, people will actually have to start paying for their smartphones now, to the tune of $500 or more. The big question is will this change users’ behavior significantly. The downside for people is that they are going to suffer sticker shock when they go phone shopping. People are used to thinking that these devices cost $200 or less, but that’s the “subsidized” price. The actual price for an iPhone 6 is $649.99, or a Samsung Galaxy 6 S is $576. One possibility is the upgrade cycles get longer, more like PC or tablet upgrade cycles. When people have to pay for a device, they tend to keep it longer. Many analysts attribute longer replacement cycles for tablets to the fact that most tablets are not on a carrier contract. However, now the same thing applies to mobile phones. The typical iPad owner upgrades to a newer model closer to every three years than every two. Will we see the same thing happen with mobile phones? Another possibility is a shift toward cheaper, bargain phones rather than the latest and greatest flagship phones, and this would suggest a shift to mostly Android based phones, such as Moto G or LG Escape, both under $200. Apple offers no phones in that price range. In the old system of phone subsidies, there was little incentive to get a cheaper phone, since there was no real savings in cost – all phones under $400 were “free” anyway. Now that the major carriers have done away with subsidies, the full price of smartphones are now paid by consumers, either upfront or in installments. This means a $150 phone is genuinely less expensive than a $450 phone, and price-sensitive smartphone buyers now have a broad array of inexpensive options. 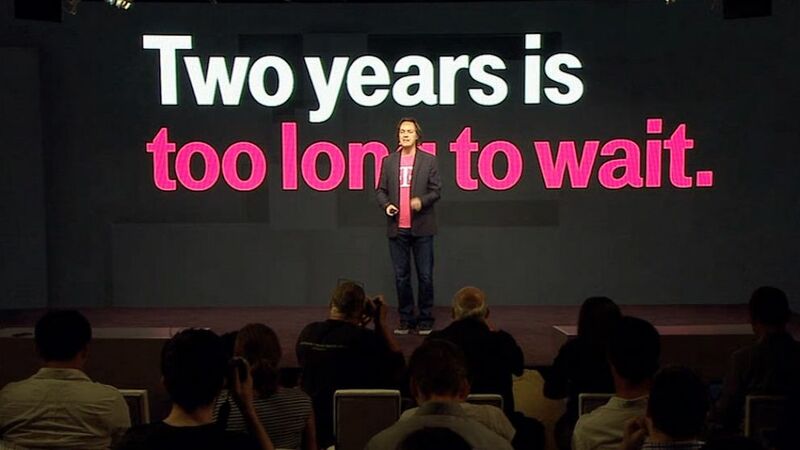 Or perhaps we are simply too addicted to our flagship phones and we will just grin and bear it, perhaps opting for one of the available leasing / upgrade programs like Sprint’s “iPhone Forever”, T-Mobile “Jump On Demand”, or Apple’s iPhone Upgrade Program to hide the cost in our monthly payment.